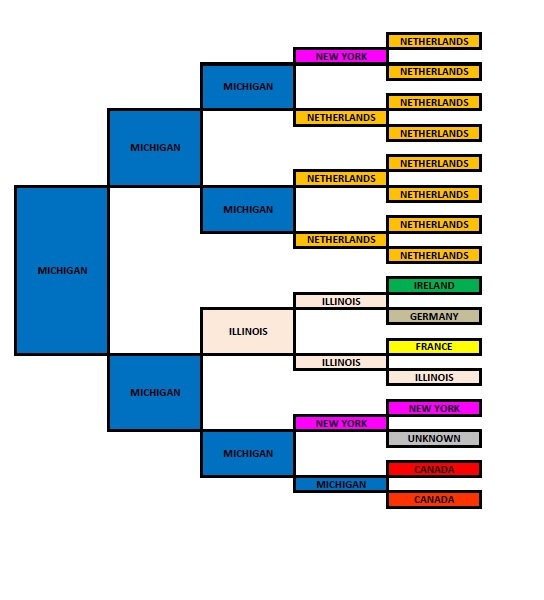 The above chart is a color coded pedigree chart of Kirk's ancestry. It starts with Kirk and has his father, James Leyndyke, ancestry across the top. His mother, Elizabeth Leyndyke, ancestry across the bottom of the chart.